and we are still fighting for it. "Wouldn't it be nice if we had an amendment ... ?" 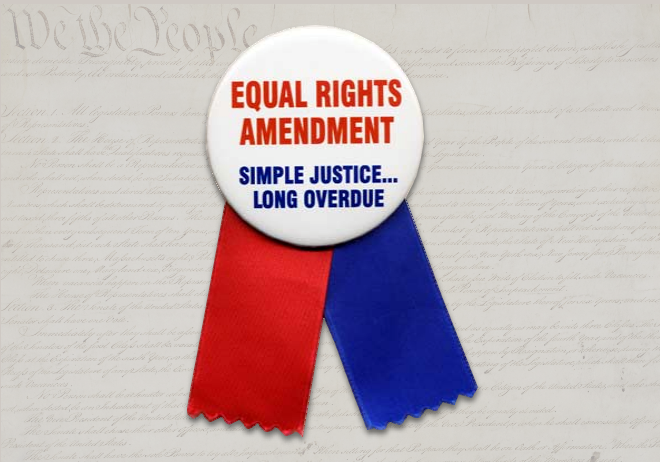 S.J.Res.39: A joint resolution removing the deadline for the ratification of the equal rights amendment. Removing the deadline for the ratification of the equal rights amendment. Resolved by the Senate and House of Representatives of the United States of America in Congress assembled,That notwithstanding any time limit contained in House Joint Resolution 208 of the Ninety-second Congress, second session, the article of amendment proposed to the States in that joint resolution shall be valid to all intents and purposes as part of the Constitution whenever ratified by three additional States.